Planting trees near a river is beneficial for both the people and wildlife who rely on the river. For the wildlife living within and alongside the river, the trees will grow to create shade for the water, which will lower water temperatures in the summer months and increase dissolved oxygen in the water. This in turn will create better habitat for freshwater biodiversity. In addition, the trees will also grow to create riparian habitat for birds and mammals, including otters and kingfishers. For land owners next to the river, and people who rely on the river, planting trees can bring about a range of different benefits, from life-saving shelter for livestock, combatting soil erosion, warming the soil to extend the growing season, and slowing surface water run-off to reduce flood risk. The trees will also provide habitat for game birds, attract vital pollinators, and provide an extra income through wood-fuel. 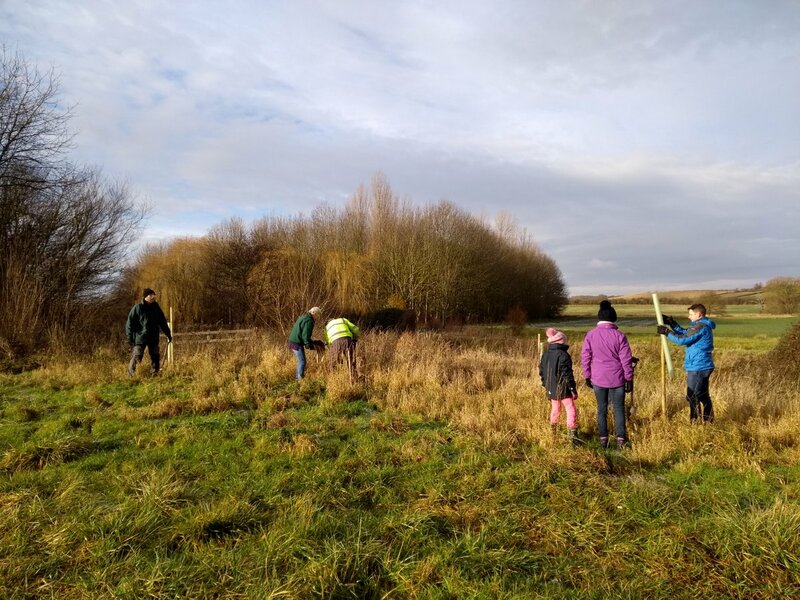 In addition, riverine tree planting presents a fantastic opportunity for the Welland Rivers Trust to work with local community groups, and to get people engaged in the conservation of their rivers. 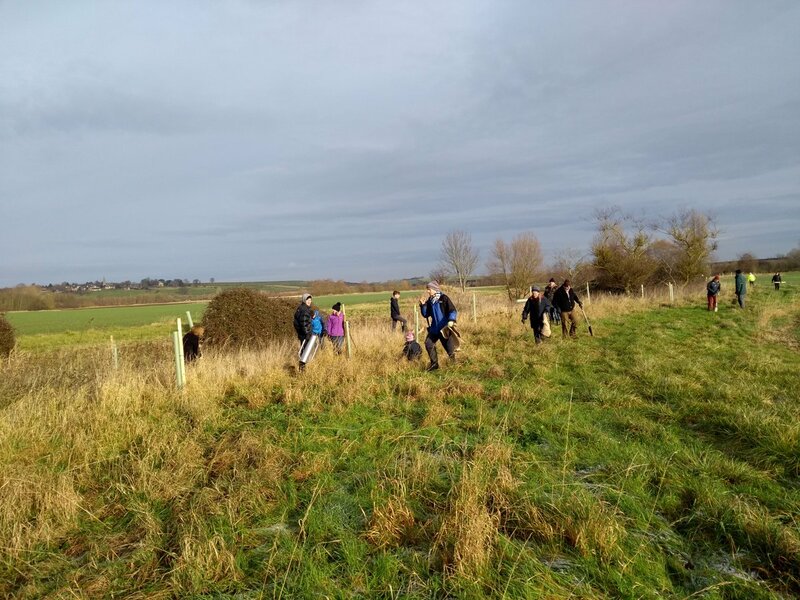 On December 9th, the Welland Rivers Trust ran the first of several planned community tree planting events for the River Welland. On a chilly Saturday morning, around 20 community volunteers helped to plant 50 tree saplings. The volunteers were mostly based in the Bringhurst and Great Easton villages, and included both young and old. The trees were of native British species that were appropriate to thrive in the wet soils of a river bank (e.g. English oak, Aspen, Alder). The plating took place near Harringworth, and over-looked fantastic scenes by the famous Viaduct. Afterwards, the whole group adjourned to the local pub for some well-earned refreshments and good company. 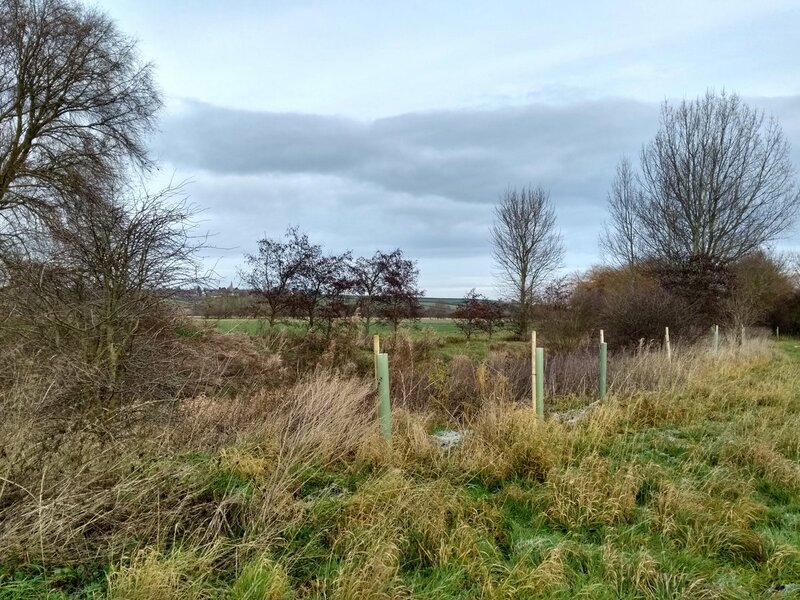 Please look out for future tree planting days that the Welland Rivers Trust will be running in the New Year. Thank you.